Our Faith Formation programs invite people of all ages to further their knowledge of the Bible and their understanding of God. A variety of educational activities are offered Sunday mornings, Wednesday evenings, and throughout the year. The following classes are offered on Sunday mornings from 9:45 – 10:45. Preschool Division – Nursery and Preschool Classes all meet in the Sanctuary building on the ground floor. A Nursery is provided for newborns up to the age of 2 on the ground floor of the Sanctuary building. We provide care for our youngest friends so that their parents can attend the Sunday School class of their choice. A Preschool Class for children of ages 3-5 is located on the ground floor of the sanctuary building. This class uses Grace and Gratitude, a curriculum by PCUSA. Elementary Division (Kindergarten-Grade 5) meets in the Fellowship Hall Building on the ground floor. This group of children uses the curriculum, Deep Blue, by Cokesbury. Mid-Highs (Grades 6-8) and Senior Highs (Grades 9-12) meet together in the Sanctuary Building on the 2nd floor. Graduating seniors are given new Bibles and recognized during the worship service in the spring of each year. Confirmation Class, designed primarily for 8th-graders and higher who are ready to confirm their faith and enter into full membership of the church. This class starts in January and concludes on near the end of May on Pentecost Sunday. Want to know more about the NWPC youth program? Visit theYOUTH ZONE ! Seekers Class. This coed class for adults, as its name implies, seeks to examine and reflect together on the Biblical texts and their call to us as individuals and as the body of Christ in today’s world. The Seekers meet in the library, Room E107. Barksdale Class. This adult discussion class uses a variety of study aids including Bible study videos and meets in Room E106. Beginning class with the collection of prayer concerns and praises, this singles and couples class of all ages takes seriously the need to pray for the church, its members, and its mission. Cornerstone Class. This discussion-led class chooses to study a variety of topics. This is a couples and singles class of all ages, and, like its name implies, is a cornerstone class of the church. The Cornerstone class meets in Room E108. Men’s Sunday School Class. A variety of NWPC members take turns teaching this class using a variety of curriculum. Members of the class support many of the missions and programs of the church with their time, talents and financial resources. This class is a great supporter of the Scouting program in the church and meets in Room E105. 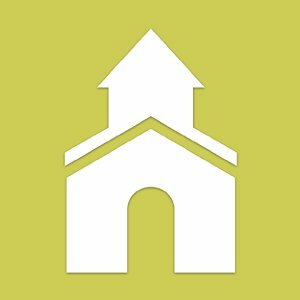 Adult Bible Study/Invited Speakers: Following dinner on Kirk Night, adults and youth participate in Bible studies around a specific topic or hear from invited speakers who share information about community and Christian ministries. Kingdom Kids: Kingdom Kids is a ministry with children 2nd through 5th grade. This ministry includes Wednesday Night dinner and an enrichment time that rotates around arts and crafts, service projects, games and study. Outside activities such as picnics, field trips and summer music camp, are also planned. This group for retired-age church members gathers on a regular basis for fellowship. Activities include monthly movie nights (all year long!) and special outings from September – May (mountain train ride, winery visits, and more!). Held for one week every summer, VBS is a favorite children’s educational experience that involves just about as many youth and adults as it does children. We immerse ourselves in stories of the Bible through storytellers, crafts, snacks, recreation and much, much more.